Harold is an amazing mimic, and can imitate the sound of everything in his home. Tired of repeating the same old noises, he yearns to find out what other voices there are in the big, wide world. But what happens when he suddenly realises that he doesn't yet have a voice of his ow... read full description below. Harold is an amazing mimic, and can imitate the sound of everything in his home. Tired of repeating the same old noises, he yearns to find out what other voices there are in the big, wide world. But what happens when he suddenly realises that he doesn't yet have a voice of his own? This fantastic debut by author/illustrator Courtney Dicmas recounts Harold's hilarious tale. 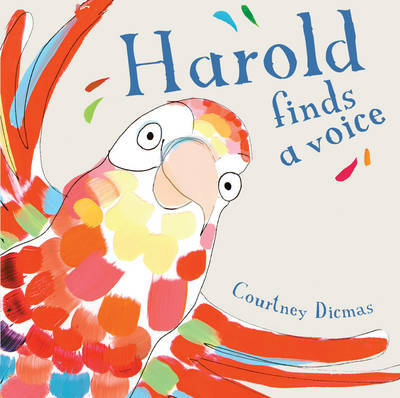 It's full of colour, humour and invention, and children will love to join in with Harold as he mimics everyday noises.